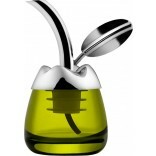 Stylish pourer to insert in your olive oil bottle for easy pouring. 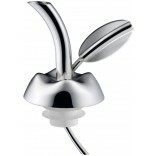 Also includes glass taster for serving or tasting small quantities. 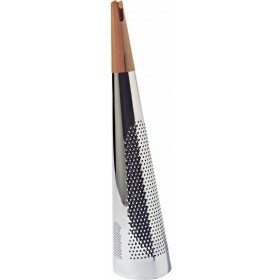 Pourer made from 18/10 mirror polished stainless steel and thermoplastic resin. 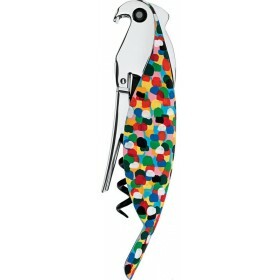 Taster made from green coloured glass. 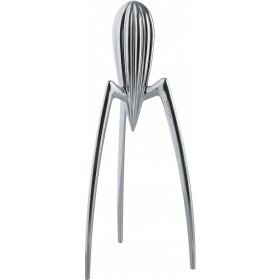 Height 8.5cm, length 6cm, width 5cm. 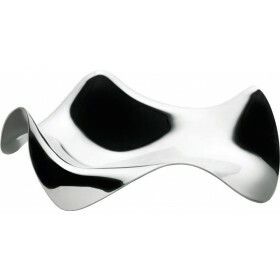 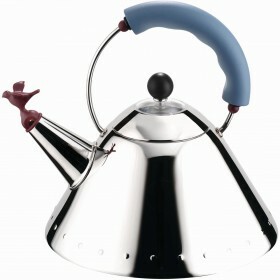 Part of the "Objets-Bijoux" collection from Alessi. 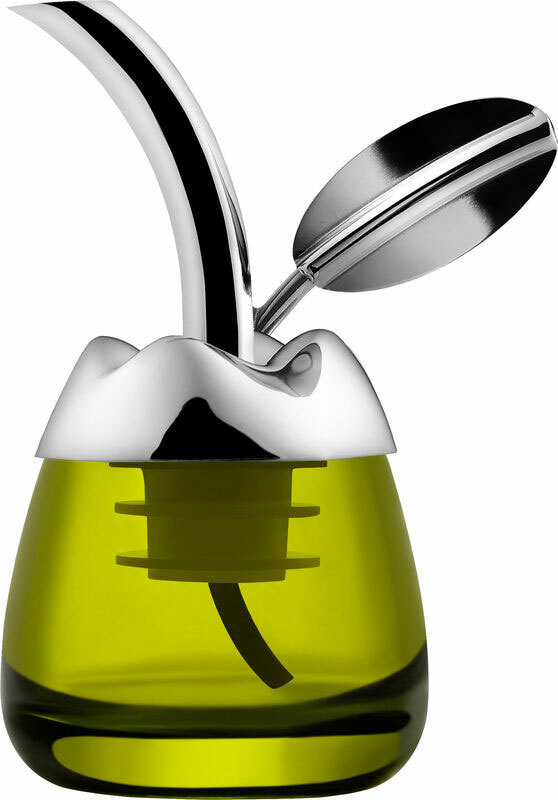 Fior d'olio has been designed by Marta Sansoni and is an iconic mechanical gem for olive oil. 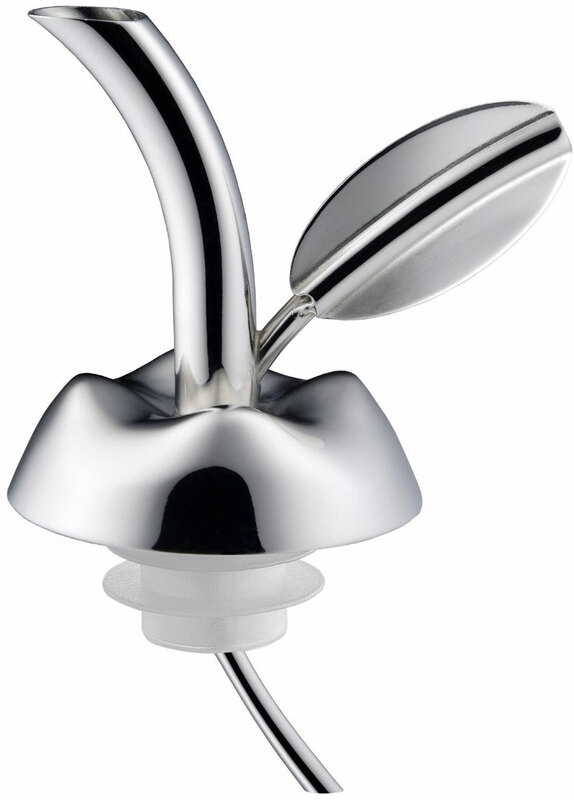 "Fior d'olio" is a cap with a pouring spout that fits into the neck of the bottle, allowing you to pour only as much as you need on your food, while controlling the oxidation process that begins as soon as the bottle is opened. 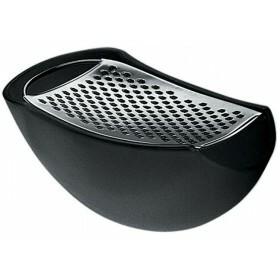 The small glass container that houses it has a second function: to assist professional tasters to sample the oil according to the time-honoured tradition.